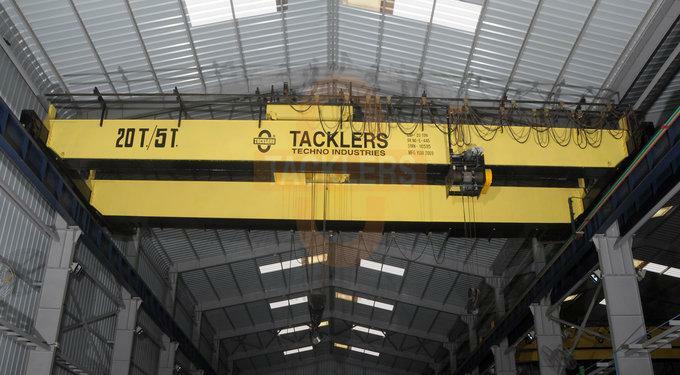 Double Girder EOT Cranes are designed with adequate safety factors, in accordance to duty classification as per IS-3177 & IS-4137. 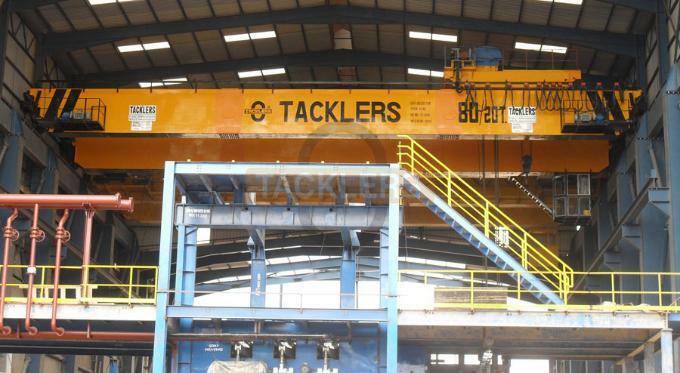 EOT Cranes are classified in different types mainly Single Girder Cranes or Double Girder Cranes. 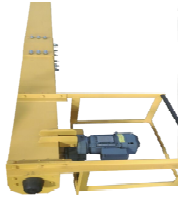 Available in the capacities of 0.5 Ton to 500 Ton. 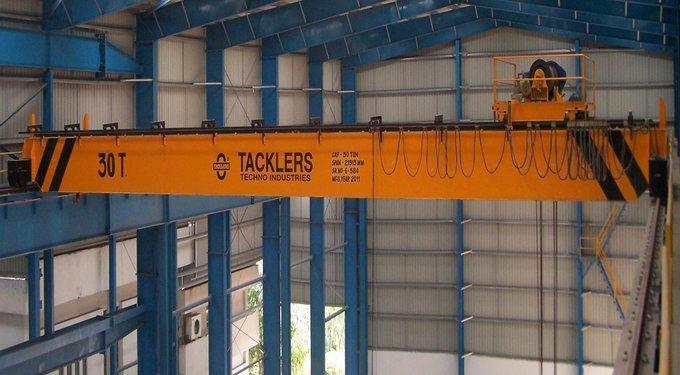 We understand customer’s requirements and make sure to satisfy them by offering Single Girder Cranes or Double Girder Cranes. 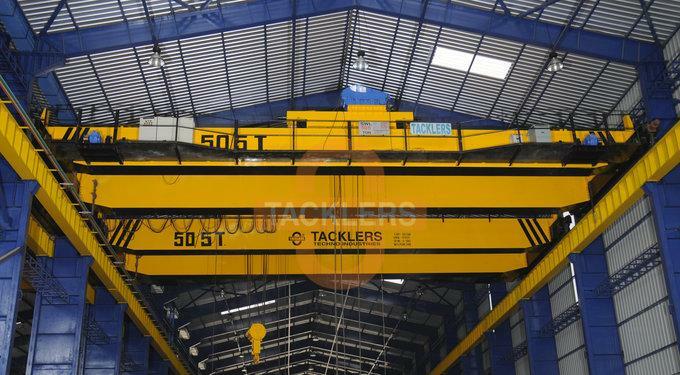 The structural parts of the Overhead Bridge Cranes are designed and manufactured as per IS-807. 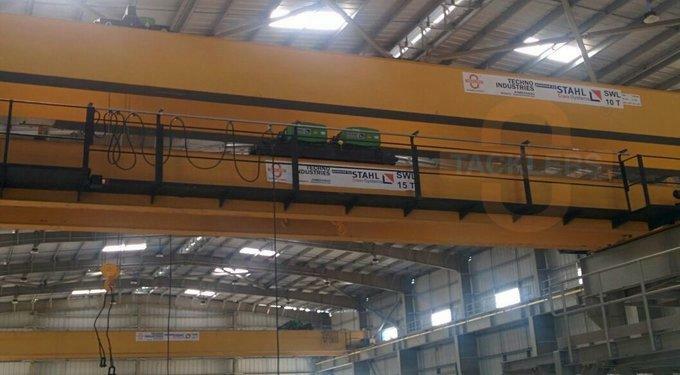 These types of Double Girder EOT Cranes are used for heavier loads and longer spans. 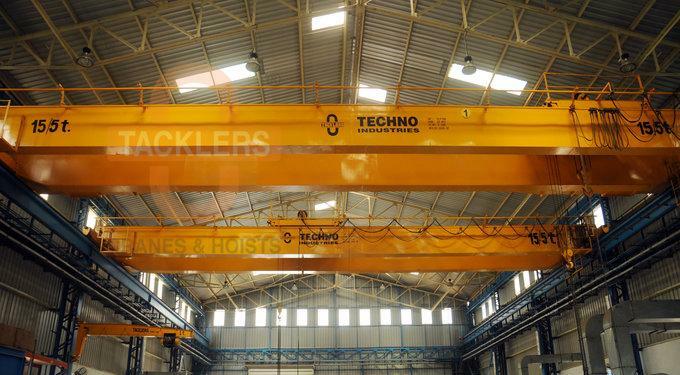 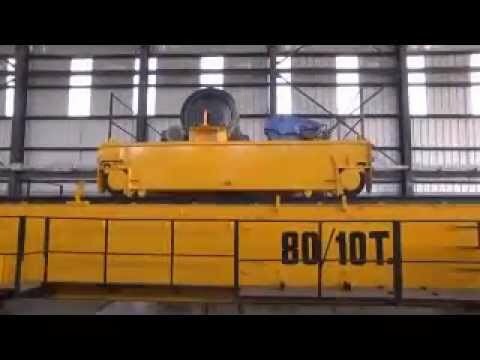 These EOT Cranes are widely used in various applications like transporters, trenches, erection of bulky equipment, shifting of heavy loads, mine quarries, heavy fabrication units and others. 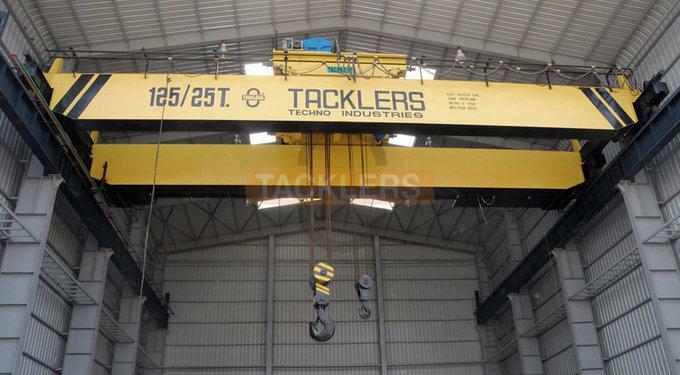 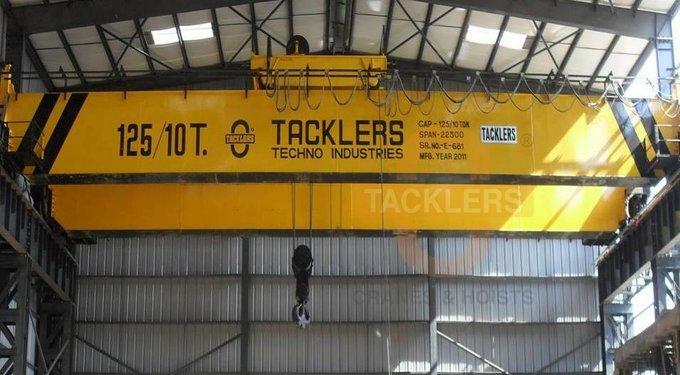 They offer the advantages of low headroom as the hook can be lifted up between the girders. 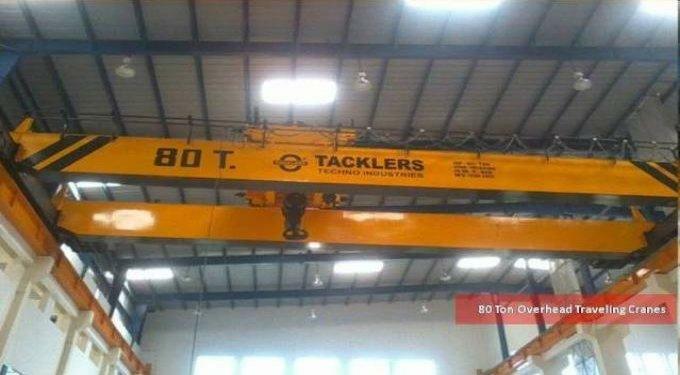 All components are carefully selected for 'Crane duty' applications.